Before you can get your driver’s license, you must learn the rules of the road and you’re taught good driving habits. Practicing these habits after you begin driving will help to keep you safe, which is why there are campaigns to make drivers aware of the dangers of texting while driving. There are also constant reminders to take steps to avoid other distractions, all in an attempt to help make the roads a safer place. Being a good driver will help make the roads safer but it also has other benefits that you might not be aware of. One of the first ways that driving safely can save you money is on your insurance premiums. You can receive discounts when you have a good driving record. You can also receive discounts on your insurance when you drive a new Toyota equipped with the latest safety technology. 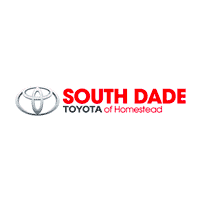 Here at South Dade Toyota, we have a wide selection to choose from. Another way it can save you money is by helping you avoid getting tickets or by reducing your risks of being involved in an accident. For example, driving while under the influence of alcohol or drugs can be very expensive and may even drain all of your savings and then some. You will also lose your privilege to drive and you run the risk of spending time behind bars. When you follow the rules and develop safe driving habits, you don’t have to worry about getting tickets and paying fines that can end up costing you a lot of money. In addition to paying the fine for speeding or whatever the case may be, you also have to pay court costs. If an accident occurs due to your bad driving habits, the cost can greatly increase. If you don’t pay your fines in a timely fashion, you could lose your license and the unpaid balance can end up on your credit report, which will hurt your credit score. At first, it may be hard to see how your driving habits can affect your credit score but it is possible and here’s how. If you have bad driving habits, eventually you’ll get a ticket or have an accident that will put a strain on your finances. If this happens often enough or if you’re involved in a serious accident, then it can completely deplete your savings and leave you in financial trouble. This will make it difficult for you to make your car payment or pay other bills. If you miss payments or pay your bills late, it will have a negative effect on your credit. Good driving habits will keep you safer anytime you’re on the road but it can also save you money and help you maintain a good credit score. How’s your driving? Are there any areas where you could make some improvements?